Upholstered in the finest Pelle leather, the Kenya Chest of Drawers has an understated style that celebrates the beautiful materials used to create it. Hand-crafted by skilled artisans in the heart of Milan, the chest features three drawers, ideal for storing clothing and accessories. The tapered corners add visual interest and the chest can be finished with detailing in either steel, bronze or black chrome. 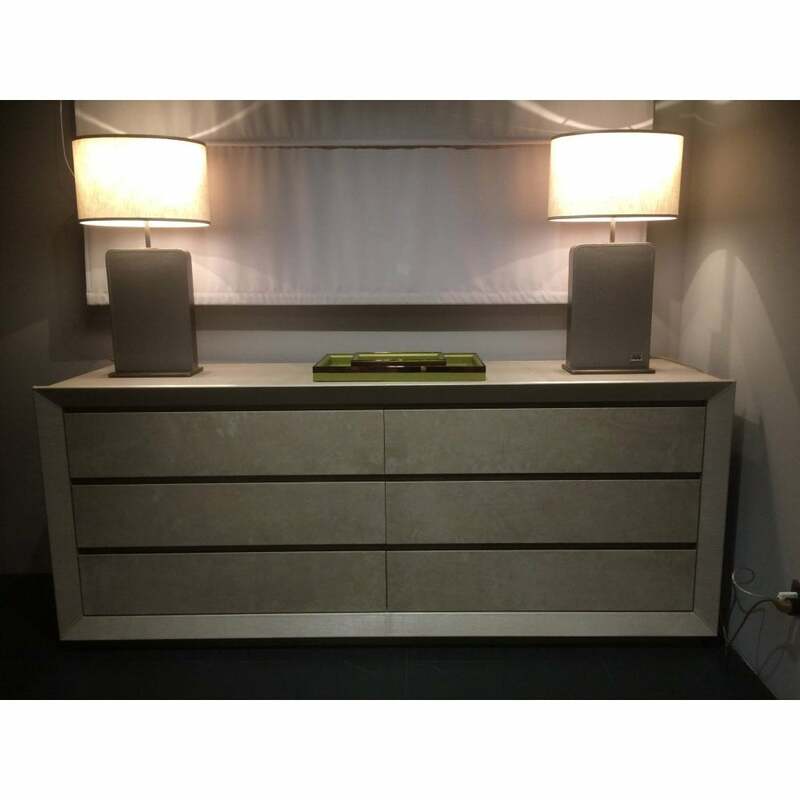 Pair with the matching night tables for a cohesive bedroom scheme that exudes Hollywood glamour. This sleek and modern design would work equally well in a traditional Tuscan Villa or a chic Milan apartment. Available in two versatile sizes, make an enquiry for bespoke options.